As if San Diego’s 120 kilometres of coastline and reliably sunny weather wasn’t enough, the city is also home to museums, a world-renowned zoo, theme parks, famous golf courses, and a lively theatre scene, as well as great food, shopping and nightlife in the historic downtown quarter. Recreation in San Diego revolves around the beach, with activities including swimming, surfing, snorkelling, sailing, and sport fishing to skateboarding, sunbathing, rollerblading, hiking, and biking. Head east to Scottsdale Arizona, you’ll find the change of landscape is dramatic as you enter real American cowboy country and the land of red rock, huge mountains and cactus. Scottsdale is a city of contrast; the old town of Scottsdale is reminiscent of a bygone era whilst the Scottsdale of today has a vast array of wonderful shopping malls, boutiques and contemporary dining. The year round heat, beautifully manicured golf courses, spa’s, a vast array of sporting activities from horse riding to hot air ballooning and stunning luxury resorts draw guest back year on year. This morning you drive to the Grand Canyon for the spectacular landscape and breath taking views, drive along the south rim stopping at look out points, including Hermits Rest & Desert View, heading for the Grand Canyon Village and your hotel for the night. 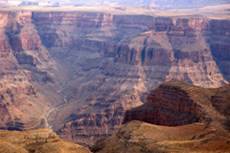 We suggest an early start as The Grand Canyon is vast and there is so much to see. Enjoy a mule, or bike ride, down into the Canyon or take a helicopter flight giving you a bird’s eye view of this vast area and the Havasupali falls on the west rim. After a morning in Death Valley it’s time to hit the glitz and glamour of Las Vegas, 3 nights here will give you enough time to experience the sights and sounds of Las Vegas with its great restaurants and wide range of shows and entertainment and allow enough time for a day trip to The Grand Canyon. 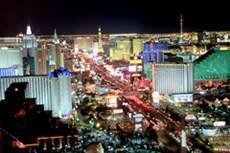 Upon arrival in Las Vegas check into your hotel and return your hire car, there’s no need for a car in Vegas. Las Vegas is a playground designed to offer anything you want, relax by the pool, play golf or tennis, use the spa, shop in the vast array of malls or explore one of the many extravagantly themed hotels that occupy the strip. Take in one of the many top class shows, from Magic to musicals, the possibilities in Las Vegas are endless. At the end of the holiday spend your last day doing some last minute shopping, sightseeing or relaxing before your overnight flight from Las Vegas to the UK.